Our new ARCH table top stand is a contemporary, yet elegant way to display sights and small display boards. 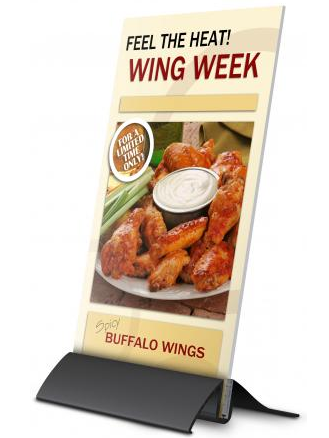 ARCH is unlike any other table top sign holder. 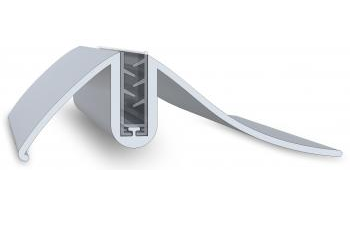 Its curved lines offer a sophisticated design, and the aluminum base features a rich satin finish. No assembly - ready to use in seconds. • Reuse the base with different board and preserve your initial investment. Order the stand and graphic in your choice of 8.5", 11" or 17" wide. 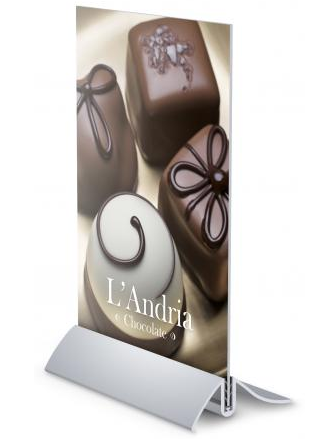 Need another size graphic or want to order only the stand or only the graphic? Please email us at sales@presentech.com for a custom quote. Upload your file and place your order. Please allow 1 day for a pdf proof then 3-4 business days after proof approval for most locations east of the Rockies.